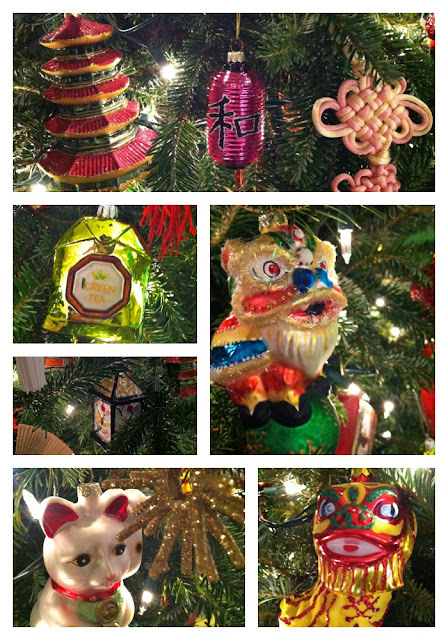 The Pink Pagoda: A Tony Duquette Chinoiserie Christmas -- OH MY! 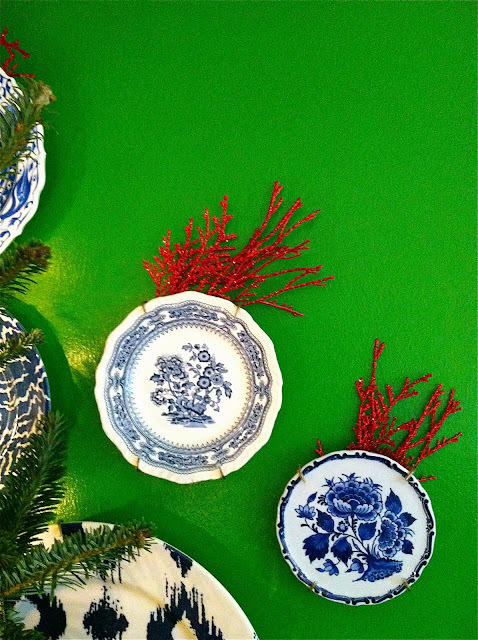 A Tony Duquette Chinoiserie Christmas -- OH MY! 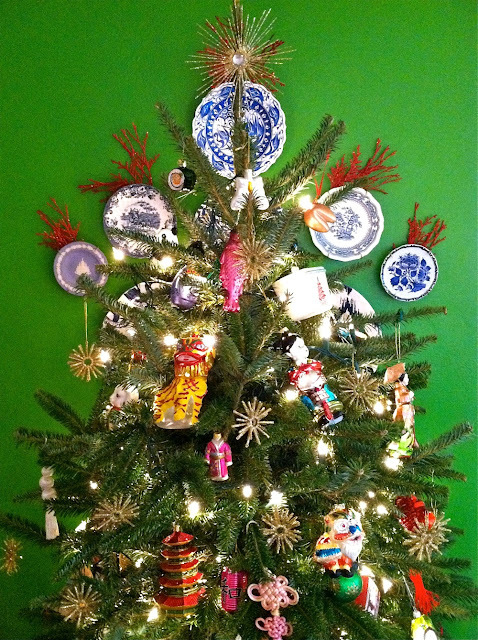 Skyla Freeman, from Sanity Fair, is here today sharing her gorgeous, fun, Chinoiserie Christmas tree with us. Skyla has some seriously chic taste. I love her blog, Sanity Fair, and her apartment is absolutely incredible. It's been featured in The Washington Post which you can see here. I may or may not have gotten carried away decorating for Christmas this year: it's a Tony Duquette Chinoiserie Tree! Yes, I went there... it started innocently enough, with a trip to Hobby Lobby, but then again, a lot of insane decisions have been made in Hobby Lobbys. Before I knew it, I was painting starburst shaped ornaments with gold glitter. And decorating my blue and white plates with "coral". 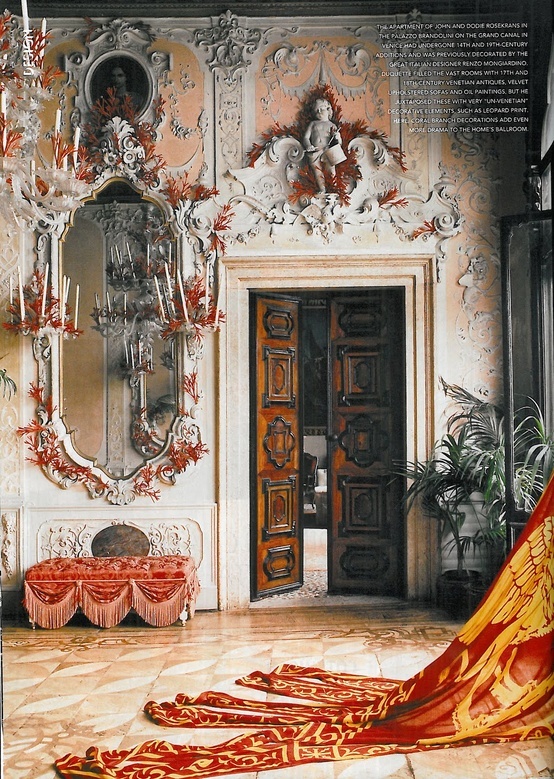 Tony Duquette's decorations at the Palazzo Brandolini (more HERE). Even the tree stand is chinoiserie - a little blue and white ginger jar repurposed for the job. 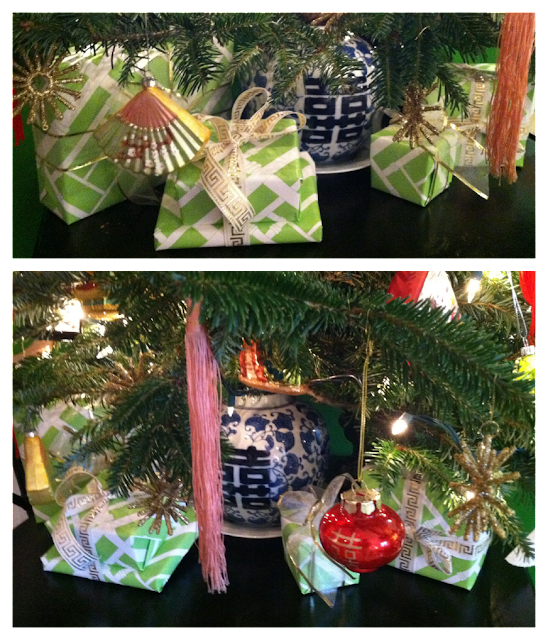 I wrapped gifts in a bamboo-patterned paper from Paper Mojo, and bound them up with gold or greek key ribbons. A view of the tree and dining table (no, I'm not eating there right now!). 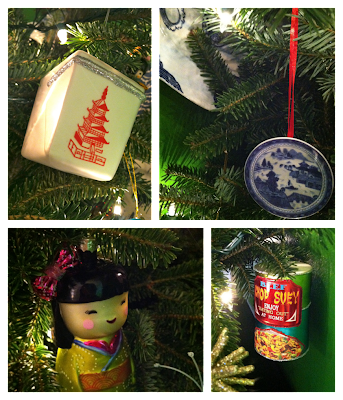 A few favorite ornaments - a take-out box, geisha doll, and especially the little blue willow plate, found at George Washington's Mt. Vernon gift shop last year. Have a Merry Over-the-Top Christmas! Thanks for being here today, Skyla! 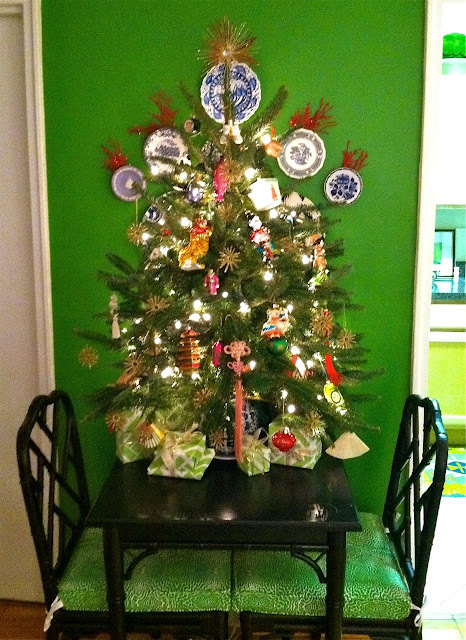 I LOVE your tree, and really everything about your entire apartment! To see more of Skyla and Sanity Fair, go here.